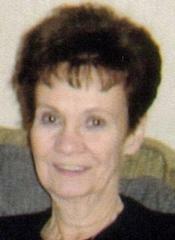 SHEILA D. STOMBAUGH, age 67. Beloved wife of Ted; dear mother of Denise Montgomery, Lori (Michael) Stark, Danielle (Bruce) Sundberg, Anthony (Kathy) Corona III, Gary (Susan) Corona, Scott (Monica), Christopher, Colleen (Joe Zagaria); loving grandmother of 14 and great-grandmother; dear sister of Wayne (Laura) Kocsmar of Texas and Richard (Marjorie) Skwara of Strasburg. Please accept our sincere condolences on Sheilas passing. May God bless. PS. Ted we knew each other a long time ago 41 or so years back. If you can remember,call me 216-898-9545.